I can already hear the groans from some readers. “Rush? Ahhhh! I can’t bear to listen to them!” And then there’s the other camp: the loyal fans who can recite word-for-word, riff-for-riff every song. There’s no middle ground with this Canadian trio. Listeners either get it or they don’t. This article isn’t to convince you to buy their records; it’s to make a point about creativity and about why it’s important to stay true to your vision—no matter what kind of work you do. The story behind 2112 offers lessons that we all can learn from. With more than three decades behind them and 24 gold records, including 14 that hit platinum in sales, it’s easy today with the benefit hindsight to say that Rush’s uncompromising approach paid off rather handsomely. But their path to success wasn’t always so doubt-free. No matter what kind of work you are in, if you care deeply about what do you, you’ll eventually face tough choices on how to make the product you want that is true to your vision. The future is rarely certain. When faced with a fork in the creative road, that is when you need to trust your gut. “We decided” let’s go out in flames,” recalls Rush frontman Geddy Lee. “They want a three minute hit? Let’s give them a 20-minute song.” So with their backs to the wall, on April Fool’s Day, 1976, they released 2112. “Ignore everybody.” That’s what Hugh MacLeod advises as the first step to being creative. He’s right, but it’s not as easy as it sounds. I’ve held up 2112 as an example because even the band members acknowledge that was the first record where they felt they had carved a sound for themselves. They thought long and hard about what they wanted to say, and then then worked hard to achieve that vision. Even three decades since its debut, 2112 is still considered a record that many musicians use to measure their own mastery of their craft. By many others, it’s also admired simply as a great hard-rock record. It didn’t get that way because of generous radio airplay. Remember, this was the 1970s. There was no online social media to help give a great idea some much needed traction. 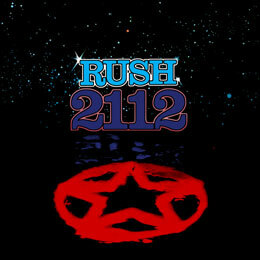 Instead, 2112 was a record that found its audience in that trusted, time-honoured way: people talked about it to others. 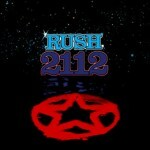 I’m not saying that creativity can only thrive by blazing a trail the way that Rush did with 2112. But there are valuable lessons to draw from. Your best ideas are rarely going to be embraced immediately by large groups of people. Some will try and dissuade you, telling you they know better. Some will even try and get you to sound like Bad Company. And not in a good way either. Be true to your craft and to the passion that drives you. The more what you have to say is authentic, honest and original, the more potential you have for doing something really outstanding.